Debit cards are a popular payment option because they allow people to manage their finances and budget within their means. Credit cards are popular because they can help consumers buy big-ticket items, and many of them come with rewards programs. Although banks may offer debit rewards programs, they aren't as popular as credit card rewards. A new mobile banking company is looking to change that. San Francisco-based Zero is a financial technology company that's developing a card that acts like a debit card but gives rewards like a credit card. The Zerocard will work through a mobile app where a cardholder will have a deposit account. They then can spend that money with the Zerocard. Like debit cards, there won't be any monthly bills, nor will cardholders be able to spend more than what's in their account. In the app, cardholders will be able to see their deposits and withdrawals, and they'll have access to a real-time net balance. When cardholders use the card, they'll be able to earn cash rewards. This is because Zerocard will function as a credit card. To a cardholder, this may not mean a whole lot, but this functionality allows Zero to offer a rewards program. Debit cards have to adhere to federal regulations that cap the amount merchants can be charged for processing fees. Because these fees are low, they don't always cover the cost of a rewards program, which is why debit card rewards are not as prevalent. Credit cards--and particularly rewards cards--can incur higher interchange fees when swiped, which helps pay for the rewards. When a merchant swipes a Zero card, the processing networks will recognize it as a credit card and charge the interchange fees typically assessed to credit cards. This allows Zero to offer its cash back rewards program. Zero's rewards program is tiered, depending on which of the four levels of card the consumer has. This starts at 1% cash back for Zerocard Quartz, 1.5% for Zerocard Graphite, 2% for Zerocard Magnesium and 3% for Zerocard Carbon. Rewards accrue with every purchase, no matter the spending category. Each month, Zero deposits the rewards directly into the cardholder's Zerocard account. "Many people don't want to take on debt and don't have time to worry about multiple credit card statements, balances and due dates in the name of chasing down rewards, yet they still don't want to give up the opportunity to get cash back on their spending," said Zero founder and CEO Bryce Galen in a statement. While Zerocards do offer cash back, the higher-level cards also come with annual spending requirements. Currently, that's set at $25,000 for Zerocard Graphite, $50,000 for Zerocard Magnesium and $100,000 for Zerocard Carbon. This means that if you hold the highest-level card, you'll get at least $3,000 back a year due to the spending requirement. Zerocard has announced that it's waiving this spending limit to early adopters who also get friends to sign up for the card. 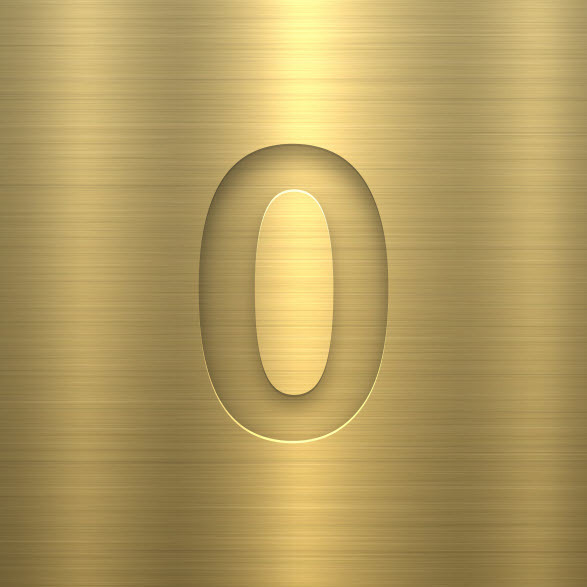 Zero isn't a bank, but it's partnering with one in order to issue the card and to offer FDIC insurance on deposits. Other features of the card include interest rates on deposit accounts and the ability to use the card at over 50,000 ATMs. Cardholders will also have zero liability protection. In terms of mobile platforms, Zero will first be available to iOS users, then Android users. "For far too long, traditional banks have forced consumers to choose between the balance oversight of a debit card and the rewards of a credit card. We can do much better. We are challenging the status quo by creating something more transparent and more rewarding than ever previously possible," said Zero founder and COO Joel Washington in a statement. Zerocard isn't yet on the market, but those interested can register at Zerofinancial.com for early access. The company anticipates it will begin accepting applications in early 2017.